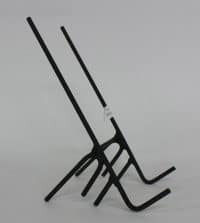 If you are processing any quantity of honey, you will need this pail holder to assist you in eliminating spillage and waste. 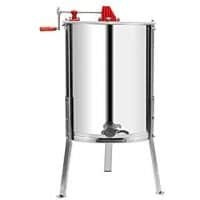 You will use this piece of equipment in combining buckets of honey or allowing gravity to allow the final amount of honey to drip from the container into the pouring tank. 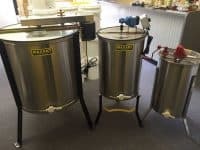 A MUST have piece of honey equipment!